Tactical Flashlight FAQ – Things You Must Know! The portable flashlight has proven itself over the decades as being an essential item for emergencies when light is needed. One variant of the standard flashlight is the very popular tactical version that not only provides a substantial amount of light to blind potential intruders or attackers but also offers other uses. Why Should I Carry a Tactical Flashlight? How to Use Tactical Flashlight? How to Choose the Best Tactical Flashlight? What’s the Best Tactical Flashlight? Essentially, this is a flashlight that is crafted from tough, durable, and lightweight materials such as aluminum and is designed to put out a blinding white light. This type of flashlight is used by law enforcement and the military to provide light for navigation, a blinding light to disorient attackers or intruders, and the robust metal casing means it can be used as a defensive weapon. This type of flashlight also uses LEDs which unlike traditional incandescent bulbs are highly durable and impact resistant. Besides, some tactical flashlights have edges or reinforcement that allows them to be used to break glass. This type of flashlight makes the perfect defensive device in case you are surprised by an attacker. Its blinding light disorients the attacker while the hardened metal body can be used as a striking object. 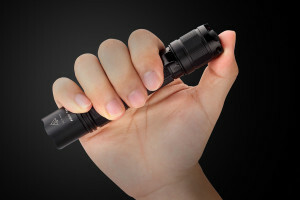 This type of flashlight has common, everyday uses, but also can be employed to defend yourself if the unexpected should occur. Absolutely! A tactical flashlight is perfectly legal as it incorporates all the elements of standard flashlights while offering greater brightness packed into a tight, durable casing. This type of flashlight appears little different from the standard, run-of-the-mill flashlights that you can purchase in retail stores. However, it does offer greater overall value. A tactical flashlight operates on the same basic principles as a standard flashlight when it comes to illuminating the view in front of you. However, the differences start with the full brightness setting that will temporarily blind or disorient a potential human or animal attacker. You briefly shine the light in their eyes to cause disorientation so that you can flee or defend yourself depending on the circumstances. Also, you can use the tactical flashlight as a weapon thanks to its hardened aluminum casing or with some models smash through a car window to free yourself or someone trapped inside a vehicle. There are a few things to look for when trying to find the best tactical flashlight for your needs. The good news is that many of the top brands offer excellent attributes for a low price. Brightness: You will want to choose a tactical flashlight that provides at least 130 lumens which are enough to blind temporarily or disorient an attacker. Settings: In addition to the 130+ lumens, you’ll also want a low-light setting of 5 to 15 lumens so that you can navigate in the darkness. Construction: Tactical flashlights are usually encased in aluminum which is lightweight, durable, hard, and corrosion-resistant. Glass-Breaker: You may find yourself in a situation where you have to break a window or windshield to pull someone out of a vehicle. It is handy to have it on your tactical flashlight. Each of their flashlights is constructed from the best materials. Plus, they are lightweight, durable, and put out a considerable amount of light where you need it. In addition, we offer reviews of the top 10 tactical flashlights that you should read to choose the best one that fits your particular needs.